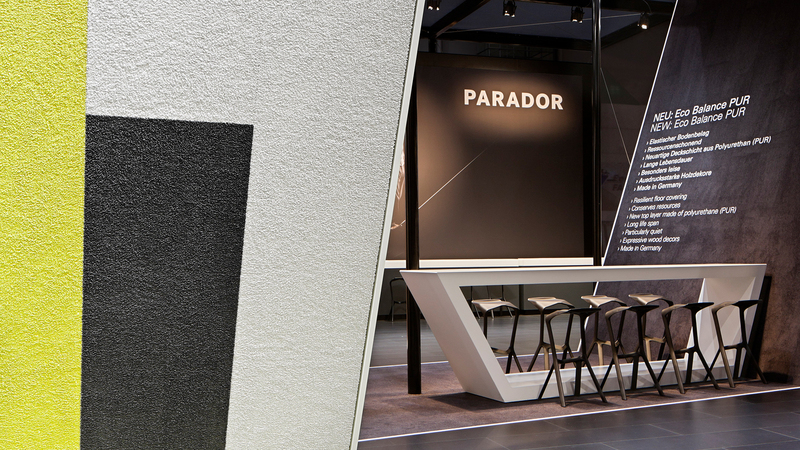 Parador presents itself with a dynamic brand sculpture at Domotex 2014. 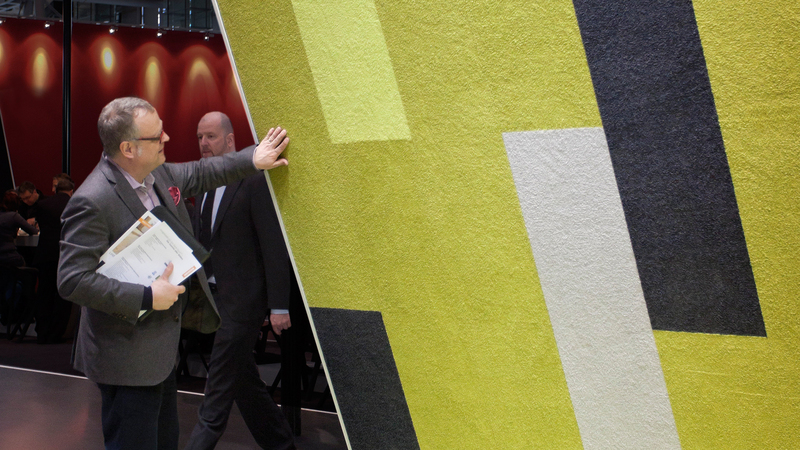 Once again Parador presents itself on the international stage of Domotex 2014 with a spacious brand appearance. 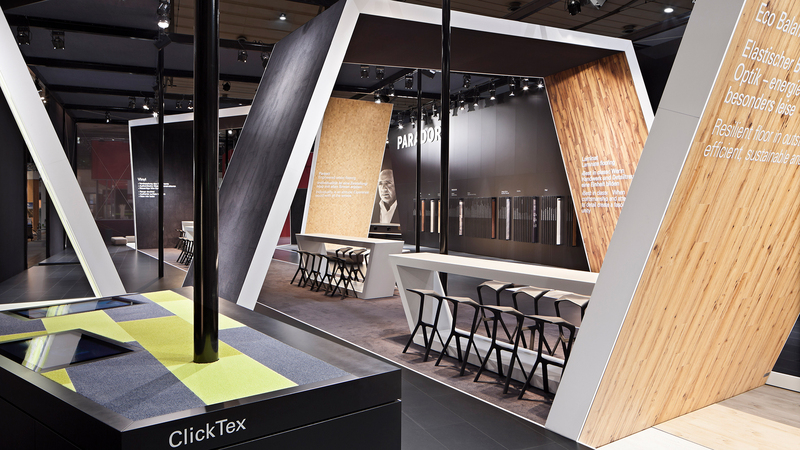 With an enlarged exhibition area of 600 sqm the manufacturer from Coesfeld, Germany, who is well-known for his premium massive wood, laminate and parquet floors, dominates hall 9 of the world-leading fair for floorings. 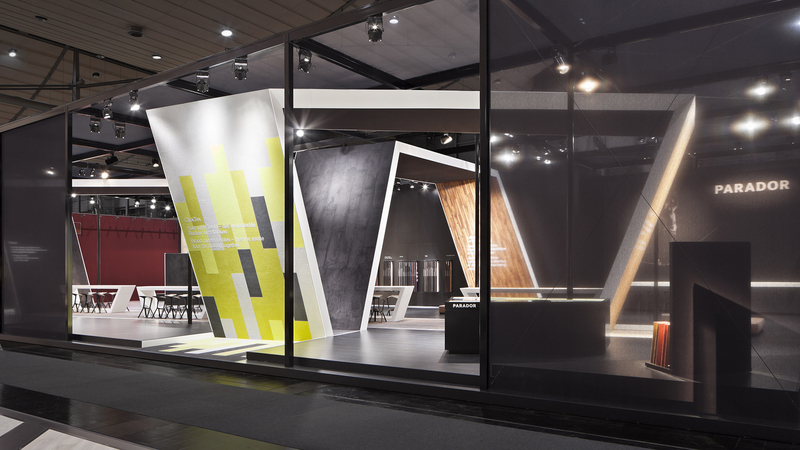 The stand architecture with its dynamic brand sculpture developed by D'art Design Gruppe decisively contributes to this dominance. 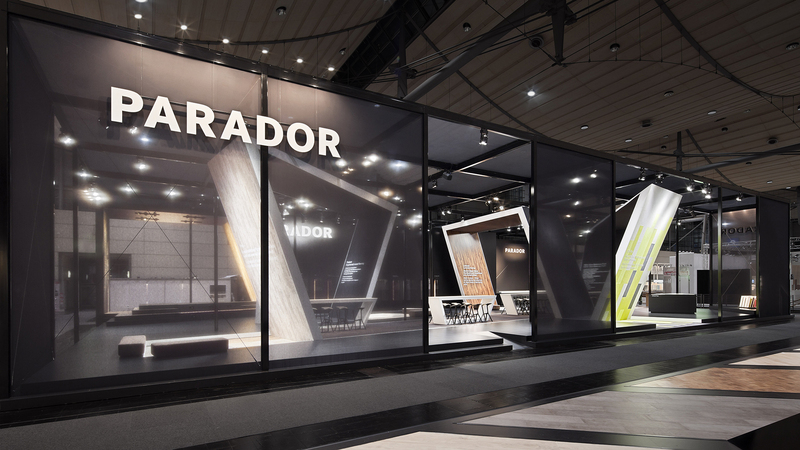 The impressive brand architecture of Parador rises several steps high into the space: The steel construction wrapped in black gauze towers 6 metres into the fair hall for flooring manufacturers. 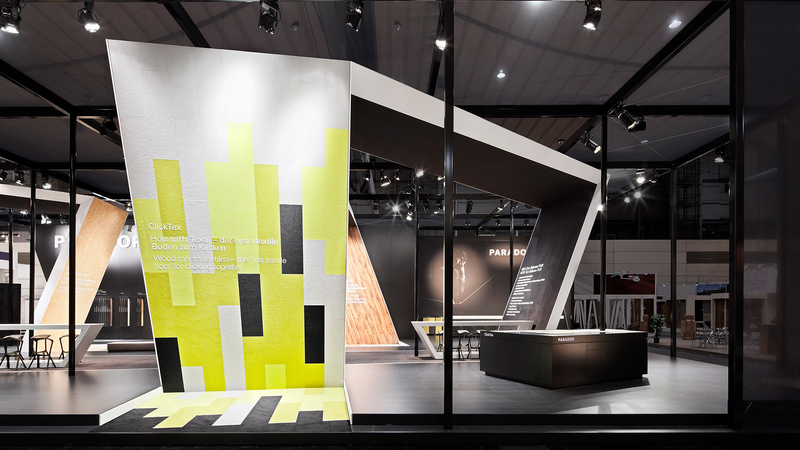 The Paragraph – a dynamic, spatial gesture – is the brand space's core and a symbol for the enterprise's strength. 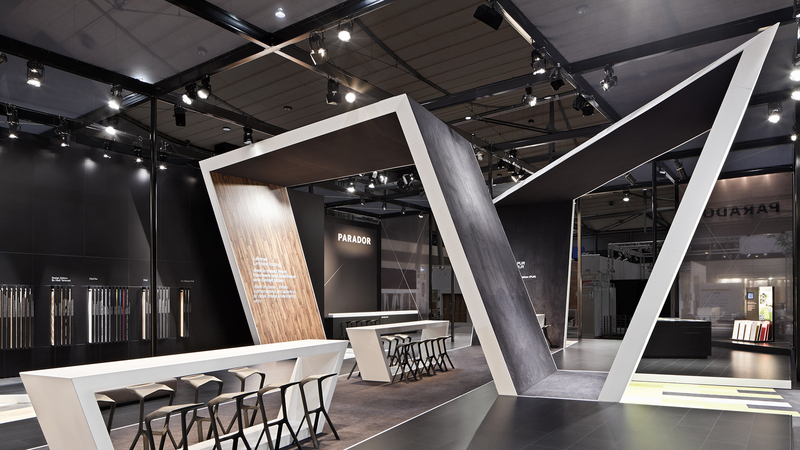 The fair stand mirrors our brand's core values, like for example dynamics, openness, innovative capacity.